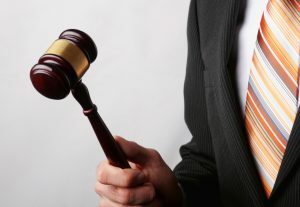 E-Auction is not only about the lowest bid. - P.Schmidt Consultancy Services B.V.
A well executed E-Auction , that is not only about the lowest bid, can be of great added value in the total procurement process, which is further explained in this blog. Often for indirect goods such as fuel, office supplies, an E-Auction is aimed at obtaining the best price under the prevailing market conditions. There are also clear situations where the purchase of goods is somewhat more complicated, because there are more variables, which underline the quality of the different suppliers. In an RFP process this can be made clear by giving these qualities a (weighted) score count. In this respect, the customer can simply ask a question entirely tailored to his own situation. This can easily be done with the E-tender module of the Marketdojo platform. When the score count is known, the supplier with the highest score will emerge. If this supplier is set as a standard, the other suppliers can be mirrored. This results in so-called virtual prices that are proportional to the price of the best candidate. In fact, these prices represent the values of the price/performance ratio of the individual suppliers, but are now clearly quantified before the auction takes off. These prices are entered as the initial offer for the Auction. The suppliers can now be ranked differently than if they had been evaluated on price alone. When these prices are auctioned, it may be that not the lowest bidder wins, depending of course on the price elasticity of the various suppliers. The percentage does not change arithmetically, so by making the winning bid as a percentage and deducting it from the original amount, the winning party’s final price is obtained. This method shows that the bid thus obtained is the best offer in which the supplier’s presentations clearly emerge. By holding sessions with suppliers in the sourcing process, the differences can gradually be reduced in order to avoid unacceptable conditions for the customer before the end process is started. The open and transparent nature of this working method makes it possible to make a sound and well-founded assessment of the entire process, based entirely on facts and figures, that can always be reproduced.